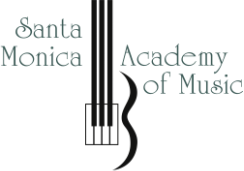 The Santa Monica Academy of Music faculty is diverse and able to meet the needs of every level of student-beginner through advanced, children through adults. Our youngest student enrolled in private lessons is 5 years old and our oldest is 75 years old. Most importantly, our instructors possess a passionate dedication to music education and are university/conservatory trained. Many are also active performers on their instruments. As a member of the Modern Arts Guitar Quartet (1990-1995) he performed regularly in California, in addition to Germany, Austria, Italy, Mexico (16th Annual Festival of New Music, Mexico City, 1995), and the Pacific Northwest. He stays active performing and recording on classical guitar and classical mandolin, both as a soloist and as a member of EnsembleFRET. Marco Chiovato-Rambaldo began his music career in Italy where he studied piano, cello, and theory at Padua Conservatory of Music. During his early musical exploration, he developed an interest in a variety of different styles, among them jazz, music of the Baroque period, and rock. 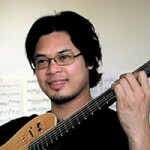 He has played and performed in a Baroque ensemble, in addition to blues, jazz, and rock bands. Under the influence of his former piano teacher, Maestro Basso, he began composing, improvising, and teaching. Since moving to Los Angeles, Marco has been active teaching and playing solo piano. Currently, he is the musical director and choir conductor at the Sepulveda Unitarian Church, "The Onion", in Northridge. In addition, he is currently working on recording his first album and composing a musical. Edan Gillen began studying the piano at the age of 11 with Michael Coughenour at the Ukiah School of Music. He went on to earn a B.A. from Humboldt State University, where he studied classical piano with Deborah Clasquin. Edan has performed professionally as the leader of a jazz piano trio; he also performed in a national rock band during their tour of Argentina, Mexico and the United States. Today, Edan works as a piano instructor, recording artist and studio musician; he also composes music for film. 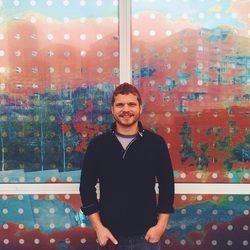 Edan Gillen is a Yamaha Digital Music Artist. With 18 years of experience as a voice and piano teacher, Sandra Pehrsson is dedicated to help her students to develop their musical talent and voice to build their confidence within themselves. With voice and piano as her main fields of study, she also studied composition, music theory, conducting, music history, band leading, microphone technique, performance, and multiple wind, string and percussion instruments. She is trained in classical, pop, jazz and rock genres, and teaches all genres. Originally from Sweden, she attended the Uddevall School of Music, Helsingborg’s School of Music, and Sungsgarden’s Folkhogskola. All of this culminated at the Leeds College of Music in the United Kingdom, where she received her Diploma of Higher Education in Jazz and Contemporary Music, with an emphasis on voice and piano where she was a recipient of Leeds “Best Jazz Singer" award. In addition to teaching, Sandra performs regularly and works as a professional singer, singer/songwriter and pianist. She has performed around the UK, Sweden and the US. She is one-half of the upcoming singer/songwriter duo SandraKota, while also working in former Tower of Power singer Lenny Goldsmith’s band The New Old, as well as singing lead soprano in the six-part a cappella group Swing Shift. Sandra is also part of Goldie Gillespie’s funky Rick James tribute band and she has for many years worked as a jazz singer/pianist. As a session singer, Sandra has, amongst other things, worked on an album released by Columbia Records. See johneagle.com for more information about his musical activities.